Greg shared the plans for the summer excavation project on the Port Nicholson with us. We were going to use both the M/V Sea Hunter and the Son Worshipper (our 100’ survey and side scan ship) so we needed to hire four additional crew. He also planned on hiring four security guards (two for each ship) and he struck a deal with The Discovery Channel. They would be sending two cameramen over from England. They would follow us around with cameras and do interviews throughout the summer. This was an entirely new experience for me, as my past work experience was selling employee benefits for a large insurance company. As exciting as it was, in the back of my mind I was thinking, that’s a lot of people to cook and clean up after (ugh). Scott: A quiet family guy who ran his own lobster boat. He was a happy go lucky type with a constant smile. He would be hired to run the Son Worshipper. Kevin: He had worked the waterfront for many years and knew a lot of people in the business. He previously captained the ferry boat from Portland to Peaks. He would be the deck boss. Nick V: A young man that currently worked at his family’s meat market. He loved the water and had his own boat. He was smart, strong and mechanical, especially when it came to engines. He would help wherever needed. 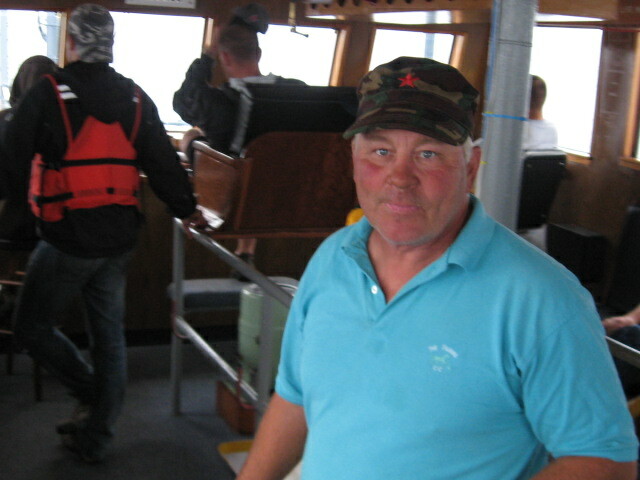 Dennis: A seasoned fisherman with years of experience as a diver and running his own boat. He was fun and confident and we would later learn he had no fear in the water. 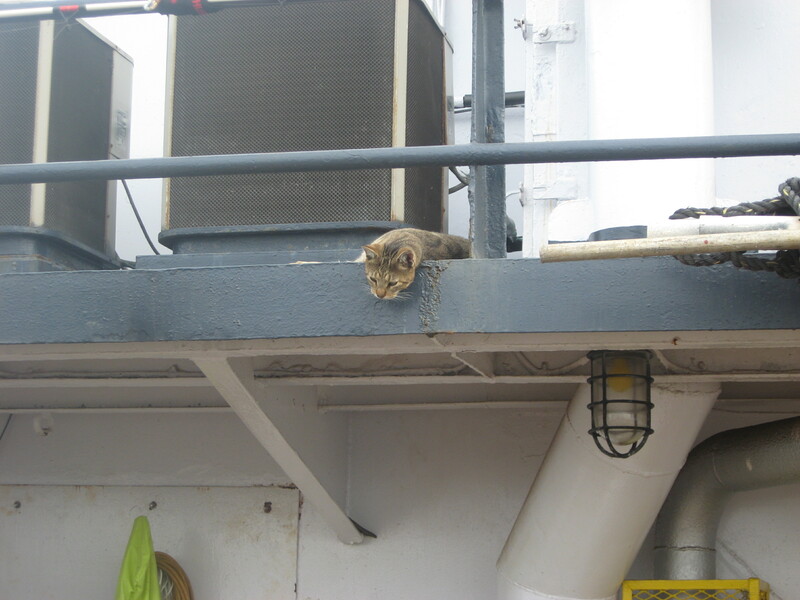 It didn’t take long for the new crew to dig in and find their niche. When they weren’t working on preparing the ship for the upcoming trip, there was a lot to learn about our project and they immersed themselves in it. Everyone was eager to share what they knew and thought. Things were getting done and it was just a matter of waiting for the weather. I would soon learn how extremely important the weather was to our success. It didn’t matter whether the weather on land was sunny and calm; we used NOAA and NOS sites to see what the conditions were on our site. There were other factors used too, but we needed a minimum of four days of decent seas to make it worth our while traveling and working our area. This would become an ongoing healthy feud between Greg and Gary. They both thought they were better at deciphering all the weather info and would get in some heated discussions. It was fun for the crew to watch this exchange, but when it came down to it, we all wanted to agree with the one who wanted to go out to sea.